British Columbia is one of the world's premier ski destinations - with good reason! 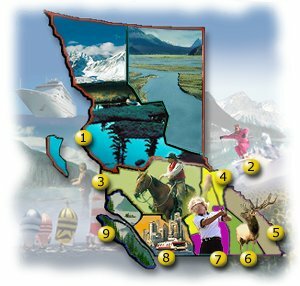 BC is surrounded by majestic mountains with ski hills that offer first class ski runs. In the valleys below, miles and miles of cross country ski trails wind through meadows and forests. BC's world-class ski hills and ski resorts are renowned. From the Olympic host community of Whistler Blackcomb to the outstanding ski hills of BC's interior regions, there's something for every ski enthusiast: Downhill, heli-skiing, cat-skiing, backcountry, nordic cross-country. British Columbia ski resorts range from deluxe first class accommodations in modern ski villages to remote access backcountry lodges deep in the powder snow. All of BC's ski resorts take pride in offering warm hospitality and a range of amenities that will make your BC ski vacation an unforgettable event.